How many times do you ring the bell? Our journey began from "Michinoeki Tarumizu (Roadside Station Tarumizu)". 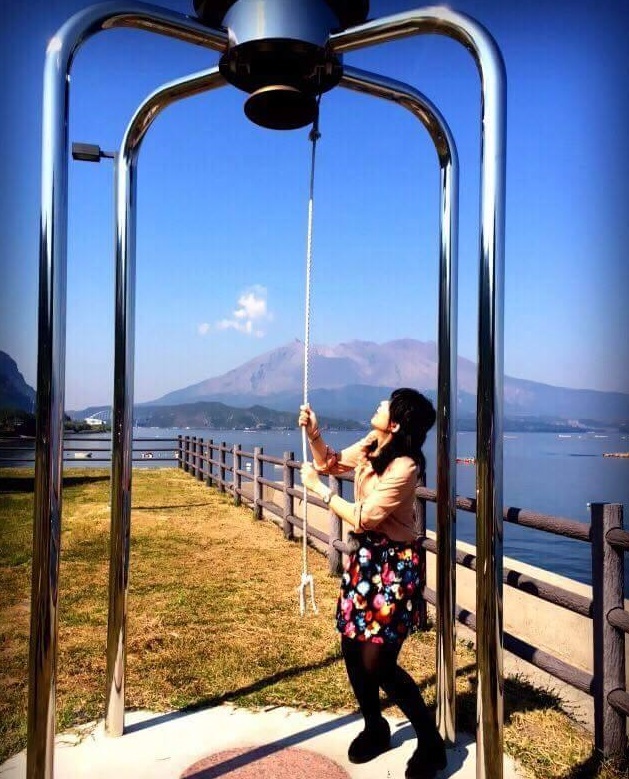 Let us introduce the "Bell of good luck " in Tarumizu. If we want to make a wish, we have to ring the bell. 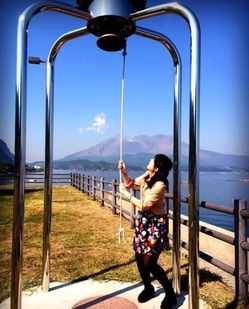 One bell, for someone who wishes for healthiness. Two bell, for a couple who wants long lasting relationship. Three bells, wish for a happy family. Four bells, wish for prosperous business. Five bells, for having a child. From bells point view, you can see beautiful sakurajima. 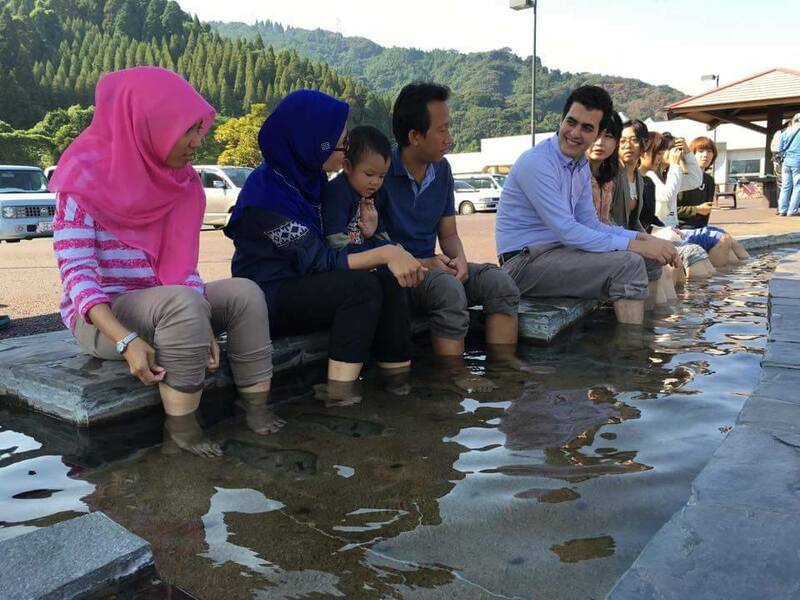 In the Roadside Station Tarumizu, there is a hot spring foot bath "Ashiyu", Japanese public bath in which people can bathe their feet, and this is free of charge. 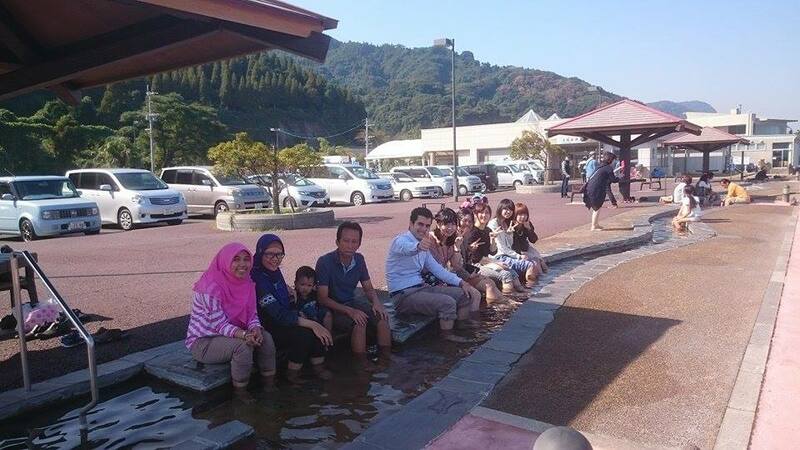 Tarumizu hot spring foot bath is one of the longest hot spring foot bath in Japan. In front of this place, you can see beautiful view of Sakurajima and sea. Hot spring foot bath has many benefits for your body. It could improve your blood flow, maintain your health, and also have a good relaxing effect. In Roadside Station Tarumizu, you also can enjoy for shopping especially for sweets. Basically, the products not obtained the halal certification yet, but the ingredients of the products do not contain alcohol or animal derived from pork. One of our moslem friends, who wants to return home in Indonesia, bought 3 packs of Kagoshima sweets. It seems to gifts for family and friends. In the Tarumizu city, there are a lot of attractions. Let me introduce in next opportunity. We are now, heading to the Kirishima, the famous hot spring place in Japan.